The U.S. job market is strong and unemployment is at its lowest in decades, contributing to one of the largest talent shortages on record. How does this impact your organization’s ability to get the talent you need to succeed? What is the Talent Shortage? The growing shortage for skilled talent is undeniable. 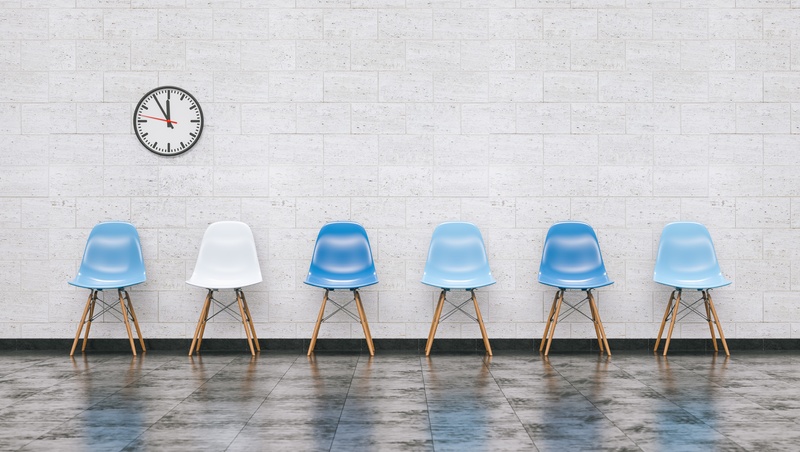 A recent study by JobVite shows that 56% of recruiters cite, “lack of available skilled talent” as a key stumbling block in hiring. The report also shows that 95% of recruiters anticipate equal or increased competition for talent in the next year. Employers must be proactive about hiring and retention in order to combat the talent shortage and maintain a high-performing team. EMPLOYER BRANDING MATTERS: 84% of employees would consider leaving their current jobs if offered another role with a company that had an excellent corporate reputation. EMPLOYEE ENGAGEMENT MEANS PROFITS: Increasing employee engagement investments by 10% can increase profits by $2,400 per employee, per year. THE WORKFORCE IS CHANGING: 34% of the U.S. workforce -- or 53 million people -- now work as freelancers. GOOGLE THIS: fully 30% of all Google searches, about 300 million per month, are employment related. What can you do to combat the talent shortage? Today’s workers have a constant choice of career opportunities and little hesitation to make changes to meet their individual needs. Keenly aware of this, organizations maintain a sharp focus on their external employment brands and the candidate experiences they provide. They act aggressively to stay top of mind and appeal to top talent at all stages of the employee life cycle. Indeed, CareerBuilder and more. That also makes it easy for job seekers to stay in touch with the job market through numerous job boards and search engines, in addition to social media. Do you know how many of your employees are actively engaged, not engaged (a.k.a. checked out), or actively disengaged (truly unhappy at work)? What strategies are you implementing to increase employee engagement? Stronger employee engagement not only helps you retain your best and brightest employees; it has also been shown to impact customer retention and overall corporate performance. What is your company’s unique employer value proposition (the key benefits your company offers to employees)? Working professionals ranked professional development and advancement opportunities as the most important element of company culture. However, 2018 Hiring Outlook report found 46% of employees do not think their leadership skills are being properly developed. Furthermore, 51% of working professionals do not even understand what they need to accomplish in order to earn a promotion. Lack of advancement opportunities or clarity around advancement opportunities is one of the top reasons employees leave a company. Professionals in today’s market are motivated to make a difference in their organizations and grow their skills and roles. Once they’ve mastered a skill, they begin looking to add more to their repertoire. Professional development opportunities that emphasize both career and intellectual growth are a requirement for today’s workforce. Recognition is also huge with employees needing to hear acknowledgment of their achievements and impact from colleagues, managers and executives. If meeting these needs requires a move to a new company, they will pursue it without hesitation. What is your reputation as an employer? What would your employees say about working for your company? Does every function in your company support your ideal employee experience? A strong employer brand, shaped by company culture can give you the competitive edge in attracting the best talent to your organization. Are you recruiting talent the same way you did in 2015? As productivity increases, the need to get work done increases too. To keep up, organizations can't afford (neither the time nor the money) to exclusively rely on their internal headcount to execute all the work that need to be done. Meeting staffing needs requires smart talent acquisition strategies: quick, easy, and effective access to the right skills for the right project at the right time. But how to find the in-demand skills and capabilities at scale? All aspects of the organization will look to and rely on their talent acquisition functions to answer that question. It’s time to re-evaluate your people processes, starting with talent acquisition. Deloitte cites five major trends that are influencing what they call the “Open Talent Economy:” globalization technology, mobility, social media, education, and data/analytics. How is your organization responding to these trends in talent acquisition? Consider new sources of talent that perhaps were previously overlooked, including less experienced workers who show potential, industry transfers, partially or fully remote, retirees, and talent that might still be in school. If you haven't already, it's essential to explore new workforce models such as temporary or contract workers, freelancers, and part-time employees. In one of the biggest workforce shifts in decades, more workers continue to choose self-employment over traditional employment to meet their psychological and financial needs. In fact, many companies are discovering that their contingent workforce outnumbers their internal workforce. By reaching beyond traditional workforce models, organizations can take advantage of the premium skills, flexibility and performance, without increasing overhead or headcount. Especially as the flexible workforce trends upward, many leaders have been taking a fresh look at their teams. What’s the right mix? Some positions are best suited for a full-time employee but others can be outsourced to support projects as needed. It’s a great exercise to reevaluate the right blend of internal hires, contractors and outsourced business solutions for your organization. An outside perspective of a talent expert can offer new ideas, tips and even connections to find what you need. Staffing and consulting agencies can add considerable value to your talent acquisition strategy. The best talent consulting agencies have deep networks and access to the strongest passive candidates in the marketplace. Expert recruiters are consultative, guiding employers and candidates alike for the best possible outcomes. Many agencies specialize by industry, giving you true expertise, deep networks, and stronger recruiting power. Staffing firms are not all alike, so make sure you are partnering with the the firm who best fits your needs. As the talent gap continues to widen in this candidate-driven market, the war for talent will only intensify. The companies who 'win' will be those that are proactive about hiring and retention because they'll maintain their high-performing teams. Learn what you can do to combat the talent shortage and maintain your high-performing team. Download your free guide!